I’ve been fascinated with seeing a show at LA’s Troubadour club ever since reading about Jim Morrison’s antics there in the 60’s. 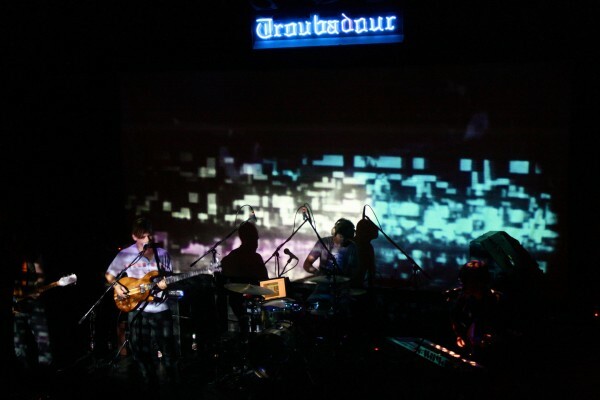 The Troubadour is a relic of the teeming and colorful Los Angeles music scene, one made mystical by smoke-filled venues, Elton John’s glitter, and the morose resonance of the Hollywood sign. On Saturday night, I made the pilgrimage to The Troubadour so I could see Lower Dens perform. Drawing largely from their recently released Nootropics, a fantastically dark and meditative album, Jana Hunter and her crew started the show with “Candy”. Hunter is a surprisingly androgynous figure given her voice’s feminine hum, and she spent most of the show lurking in a dark corner of the stage, playing guitar and keyboard while singing. 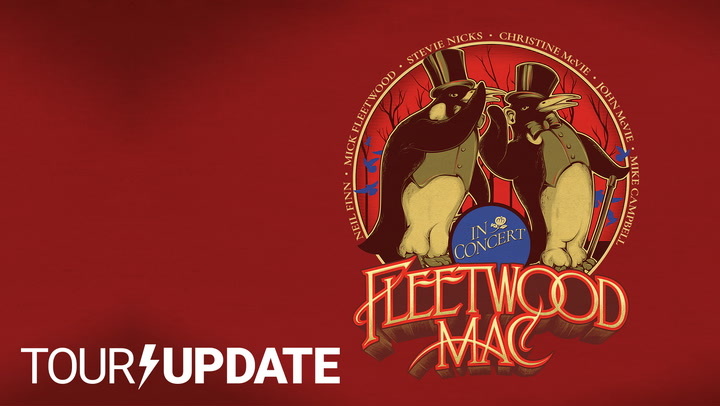 “Brains” and “Stem” featured a seamless transition and an animated delivery, punctuated by swirling visuals, while “Nova Anthem” was the show’s highlight. It was patient, poignant; the crowd closed their eyes, reflective, carried by the music. “In the End Is the Beginning” was an undulating effort, infused with terrorizing emotion and seeping shadows. It was in the style of Godspeed You! Black Emperor, a harrowing jam, scissored with scraping guitar and booming drumbeats. It was during this song’s 13-minute overture that I realized Lower Dens not only welcomes the darkness, but emulates it. 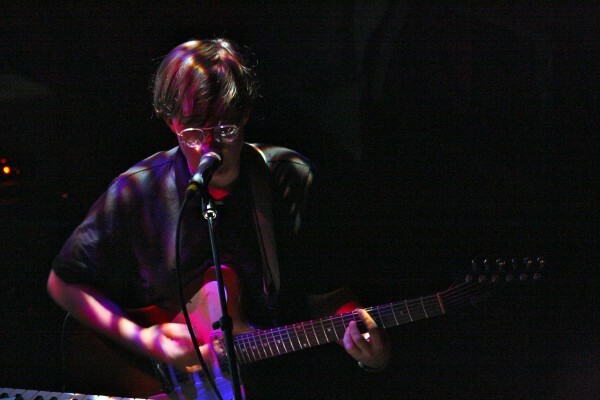 Much of the show was this way – between graceful show highlights, Lower Dens descended into a shoegaze, New Wave nightmare, bridging the line between symphonic music and music that endeavors to be black, unintelligible noise. In an interview with CoS, Hunter stated that the music on Nootropics is “about our experience in our world, an observational one, and doesnt propose concepts so much as examine them.” And indeed, their live show was exalting, expository – but it was an exposition of darkness, not light. The long bouts of shoegaze distortion and Hunter’s monosyllabic murmur were tempting lures into the depth of one’s mind, but I left feeling the band was at times unpracticed, and that Hunter needs to claim the forefront onstage that she deserves.